Is There An Alternative to Toxic-Jab Vaccinations? Vaccines and vaccinations need to be examined for various reasons by everyone, I think. First and foremost, all vaccines contain chemicals and neurotoxins that should not be injected into infants or adults, e.g., formaldehyde—an EPA-declared carcinogen; mercury in the form of Thimerosal (49.6% Hg)—one of the most toxic elements in chemistry; aluminum—a neurotoxin; polysorbate 80—a proven anti-fertility agent in animal studies; foreign DNA from bovine, pig, dog, chicken, monkey, insects, and aborted human fetal cells (diploid cells), plus a roster of toxic industrial chemicals. 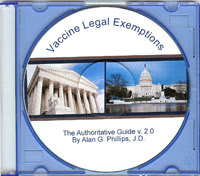 If the premise and practice of medicine is first do no harm, then it is quite obvious that the medical profession apparently is not aware of, nor does it read, the informational literature that accompanies vaccines called vaccine package inserts. IF physicians were to study vaccine package inserts and compare childhood vaccines with the CDC’s VAERS (Vaccine Adverse Events Reporting System) reports filed in the hundreds of thousands, doctors would see the harm they are contributing to by blindly accepting that vaccines are safe and do not cause harm or damage. The medical profession’s acceptance of scientific pap that toxic industrial chemicals can improve the immune system in infants, whose immune systems do not mature until around two years of age, simply is nothing short of Frankenscience. Apparently, medicine and Big Pharma, who make vaccines, either don’t believe in natural acquired immunity either from breast feeding or contracting infectious diseases such as measles, chickenpox, etc. OR they are trying desperately to rewrite biochemistry science to accept the chemical compounds they manufacture and sell vaccines. However, the toxins in vaccines can’t do anything except harm human biochemistry either short or long term. Nothing demonstrates that sad reality better than current health statistics for United States children. Autism has gone from one in 10,000 in the 1940s to one in 88 in 2008 surveys, while one in six children have some sort of developmental disability, e.g., speech and language impairments to intellectual disabilities, cerebral palsy, and autism. Can those sad statistics be considered part of the dumbing down of Americans, which apparently starts at a very early age? Such health anomalies did not occur in such prolific numbers in human history and are not recorded in the annals of medicine until after the CDC/FDA’s mandating and implementing vaccination schedules for infants and children. Physicians who have done an about face with regard to the toxins in vaccines not only are shunned by the medical profession, but persecuted. So are parents and guardians who question vaccines. Naturally, one has to question why those who ought to know better than you cannot poison a body into wellness would take such a dogmatic approach. It’s almost like a religious belief system that is being forced upon everyone regardless of individual conscience and choice. Everyone from birth, it seems, is mandated to accept the dogma of the church of vaccinology regardless of how inaccurate and skewed its premises and research really are. One of the more compelling testimonies that vaccines are hype is the fact that fully vaccinated children are the very persons contracting the diseases for which they have been vaccinated such as measles and pertussis. Medicine’s only answer is to give booster shots, which don’t seem to work. It’s homeoprophylaxis (HP) for the prevention of infectious contagious diseases. HP is based in classical homeopathy of ‘like cures like.’ It employs energetic nosodes based in part upon the work of Australian homeopath physician Issac Golden, PhD. What are nosodes? you probably are asking. Nosodes are pathological specimens made from diseased tissues, which could be blood, pus, saliva, etc., which then are potentized according to homeopathic principles. Nosodes are an immune-stimulant-enhancer without the neurotoxins and toxic industrial chemicals used in standard vaccines—a HUGE difference that will not precipitate toxic neurological responses that destroy lives and families. To learn more about nosodes, here is a paper by Guy Beckley Stearns, MD, presented in June 1936, which may help readers understand more. Homeopathy often is referred to as “energy medicine.” It’s achievement is similar in ways to what acupuncture does in the body, i.e., opens energy pathways rather than inundates the body with toxic pharmaceuticals which, unfortunately, tend to close down many of the enzyme systems needed to jump start the body into recovery and wellness. Two women are dedicated to helping bring a sense of safety, responsibility, and effectiveness to the immunization controversy and problems. Kate Birch and Cilla Whatcott adapted Dr. Issac Golden’s HP program to reflect the immunology needs of families internationally. Together Kate and Cilla authored The Solution ~ Homeoprophylaxis The Vaccine Alternative ~ A Parent’s Guide to Educating Your Child’s Immune System. The Solution is aptly titled as Homeoprophylaxis offers a viable alternative to vaccination for the prevention of infectious disease. The authors’ basic precept is that infectious disease may actually be of some benefit to the immune system. Homeoprophylaxis, as fully explained in the book, serves to safely stimulate healthy immune response without the side-effects vaccines incur. The current method of vaccination may lessen the risk of certain diseases, but with the increase in childhood allergies, asthma, ear infections and developmental delays, we are seeing that this method comes with a host of side-effects. The book carefully and knowledgeably discusses how the immune system works, how it is interconnected with childhood development, and how to capture the benefits of disease without unwanted side-effects. It is packed with important facts, such as how fever aids the infectious process, how bacteria and humans have evolved together over eons, and how additives in vaccines can actually become allergens to the child if later exposed. If you are questioning the wisdom of current vaccine recommendations, or something in your gut tells you that the conventional vaccine schedule is not right for your child, or if you have asked your doctor about alternatives to vaccines and are still waiting for clear answers, this book is a must read. Kate Birch is the North American Society of Homeopaths (NASH) representative to the International Council of Homeopathy. Ms. Birch is the author of Vaccine Free Prevention & Treatment of Infectious Contagious Disease With Homeopathy: A Manual for Practitioners and Consumers published in 2007 and available on Amazon. 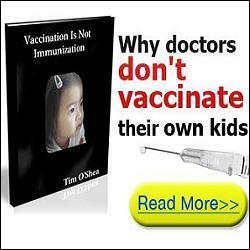 The information in this book ought to become part of every parent-to-be or parents’ repertoire on vaccines, vaccinations, and immunology before allowing a child to be vaccinated with toxic vaccines. Cilla Whatcott is a board certified classical homeopath and a graduate of Northwestern Academy of Homeopathy. Furthermore, Cilla is certified in CEASE therapy for clearing vaccine damage. How impressive! As the mother of four children, Cilla attests to how homeopathics dramatically improved allergies, kidney reflux, ADHD, ear infections, and various illnesses and emotional challenges. Readers may want to study Kate Birch’s homeopathic practice website, Vaccine Free: Homeopathic Alternatives to Vaccinations. Personally, as a consumer health researcher who has been studying vaccine problems since the 1980s, I think everyone ought to consider Homeoprophylaxis as a viable means to effective immunization. It offers effective prophylactic principles for infectious diseases similar to mandatory immunization schedules and, literally provides safe, toxin-free modalities to enhance the natural immune system a child is born with. I think HP meets the criteria many parents are looking for: Something safe that won’t inject toxic chemicals and possibly induce other health problems. Be the first to comment on "Is There An Alternative to Toxic-Jab Vaccinations?"